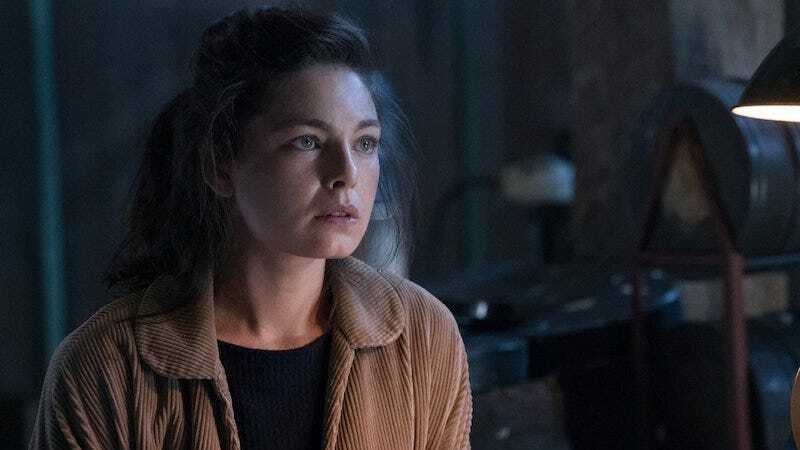 Season one of Man of the High Castle threw us into a gorgeously realized alternate reality where the Axis won World War II and the United States was divided into the east coast run by Nazis, the west coast run by Imperial Japan, and a neutral zone between them.Since then, the real world landscape had has exploded with people wondering about what other realities look like. With season two arriving on Amazon next week, we asked the cast and producers about rising popularity of alternate realities. Hackett pointed out that the question of what reality would be better or worse depends heavily on who you are, which is obviously a central question of the show. There are characters who are successful within the system of the alternate universe who would be less important, obviously, in our own. And characters we like and respect might be better off in some ways and worse off in others. It’s not as simple as who won and who lost the war. There’s also these references to other times in history and whether these times before would be something we’d revert to? Well, that depends on who you are. For many that time pre-war was not a better place. So who is determining what that future is, what and how we are meant to define the country we are is a very immediate question that is being asked. Not just in America, but around the world today. Brennan Brown, who plays slightly shady store owner Robert Childan, elaborated on what the value of an alternate reality show. “I like to say it’s a fun-house mirror where it just refracts reality into an opposite land where everything is the opposite, but it helps us see the truth of our own real world by looking at this fictionalized alternate reality,” he said.